The Apple Watch should soon be more secure, better for your health and able to track your sleeping patterns (if you didn't have to take it off at night to charge back up). Features touted for the coming months include Find my Apple Watch, similar to Apple's Find my Phone and Find my Mac, letting you track and wipe your Watch if it's lost or stolen. Apple may also allow small widgets on the phone face called “complications” - horologists will know that this usually refers to mechanics above and beyond the norm on an analogue watch - a tourbillon for instance. In this case it refers to third party apps would be able to notify on the face such things as activity levels, battery life and upcoming calendar events. So widgets, basically. Apple is said to be currently experimenting with Twitter Complications, which would display unread Twitter mentions or even tweets. Logically enough, it's suggested that Apple Watch may also be updated to let it work as a remote control for the Apple TV (in addition to the upgraded remote control that is touted for the upgraded TV device). The new Apple TV could also boast Siri integration and third-party app support. Also in the offing are updates to the watch's health and fitness apps, with talk of having the heart rate sensor notify a user of an irregular heartbeat. 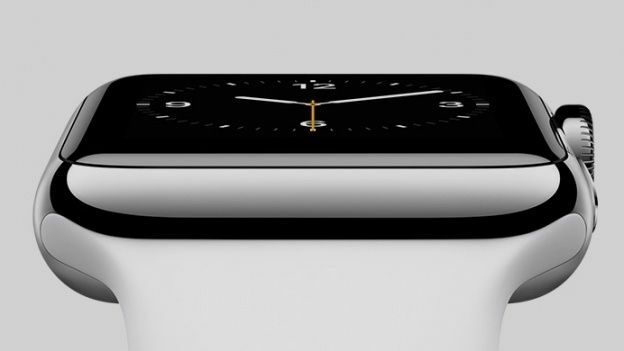 Longer term, Apple hopes to add a blood pressure monitor, blood glucose monitor and sleep tracking to the watch. It's widely believed that Apple drastically cut the number of health features in Watch v1.0 from what it had originally planned. However, this may well have been because of worries that moving into the health field would mean having to deal with legal challenges and government regulation. It's not clear that situation has changed, and marketing of an irregular heartbeat detector would have to be handled very carefully. Anyway, this is all according to "a source" quoted by 9to5Mac. We'll see how much of it comes true.